When looking for, “Fall Bass Action”, Lay Lake can’t be beat. 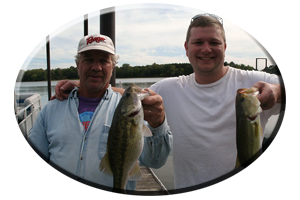 With a variety of wood, weeds, and rock cover, the lake boasts of a “Fisherman’s Paradise” when it comes to fishing preferences. The most noted charecteristics of Lay Lake, are the miles and miles of weed-lined banks, found from dam to dam. The upper, more river-like headwaters have all but washed away any chance for this green growth, but even small tributaries, main lake banks and backwater pockets are loaded with a variety of aquatic weed growth in this upper lake region. Mid-to-downriver sections of Lay Lake have thick, matted weeds that often have year-round growth. 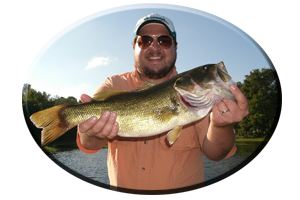 Thin stands of weeds, scummy moss, cattails and lilly pads are dispersed throughout the lake…and so are the bass. Kept near full pool year-round, Lay Lake has attained its wood cover throughout the many years, since impoundment in 1914. 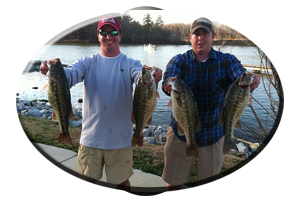 It is unlike the 3 upper Coosa River lakes Weiss, Neely Henry and Logan Martin in one aspect. Lay Lake (and Mitchell Lake and Jordan Lake), are kept at full pool for Winter. This creates a much better year-round fishery, when bass are not forced to relocate each Fall with lake drawdown. Stumps still exist in many creeks, shallow backwaters and along main lake banks. 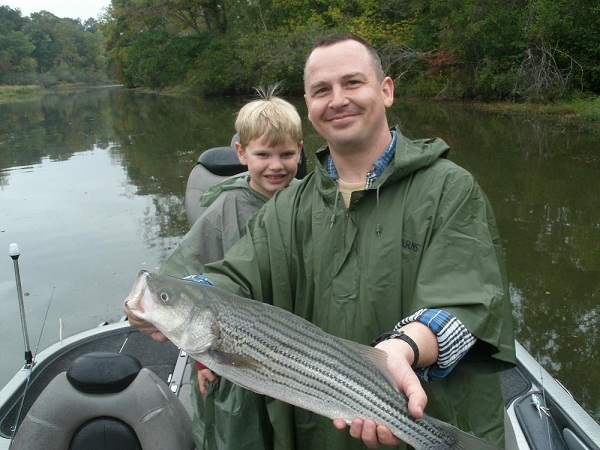 Laydown trees and resident planted brushpiles hold bass in cooler months. Piers and boat houses are found lakewide and also offer the bass a permanant home around this man made cover. Offshore structure rarely gets fished on Lay Lake, due to the more attractive weed-lined banks. 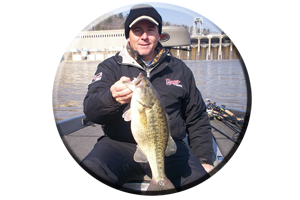 Often these old river ledges and drop-offs hold huge schools of bass during the Fall period, bass that go unmolested by the bank beating angler. 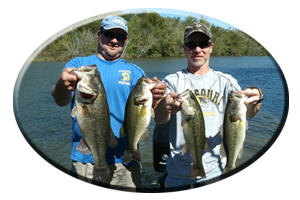 Lay Lake was again chosen for the February, 2007 World Championship of Bass Fishing, the Bassmaster’s Classic. Weigh ins, boats, fishing tackle and equipment booth displays were held at the Birmingham Jefferson Civic Center.